We wish to thank all of these great people and their businesses for supporting OUR EVENTS AND THE LOCAL MMA SCENE!!! STOP BY AND VISIT MICHELLE WHITE AND HER STAFF AT CASH TO GO IN DEXTER. THEY ARE FAST, DISCREET, COURTEOUS AND PROFESSIONAL WITH EVERY TRANSACTION. ARE PROUD TO HAVE THEM ON BOARD AS SPONSORS WITH B&L PROMOTIONS!! poker tables, 5 restaurants, live entertainment and a breathtaking view of the Mississippi river. bringing some of the best mma action to southeast missouri!! be sure to stop by the casino and enjoy what they have to offer!! thank you isle of capri!! HAVE THEM SUPPORTING US AND THE LOCAL MMA SCENE!!! THANK YOU DAVID AND TONY!! KOHFIELD DISTRIBUTING OF POPLAR BLUFF, MO. AND OF CAPE GIRARDEAU, MO. the GREATest and coldest BEER AND FIGHT NIGHT GO HAND IN HAND!! Thank you MITCH MILLER for making things happen!! we are extremely happy to be joining forces with M&S INSURANCE AGENCY OF SIKESTON, mo.!! insurance provider, we give you more choice in products and prices without sacrificing service. needs in Sikeston and throughout Missouri. entire solution for all your insurance and business needs. you will not believe how good this food is!! you will not leave this place hungry!! oh, did we mention their signature wings?? get on down to hotshots bar and grill in Cape Girardeau, MO.!! Fighters, are you looking for an affordable Walk Out banner for an upcoming Fight? quality without all the hassle, we turn to BackDropsForLess.com!! Give them a call today and tell them that B&L Promotions sent you!!! CASH CITY of Sikeston, MO. Wes and Christy Bye have been long time supporters of the Local MMA Scene. Not really "NEW" to the B&L Promotions LLC Family, but new to becoming Sponsors of our Events!! get you taken care of!!! 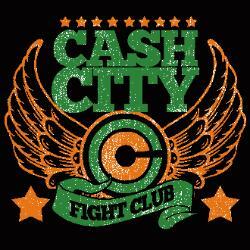 Cash City of Sikeston, MO. is a GREAT Sponsor for B&L Promotions and Cage of Honor Events!!! 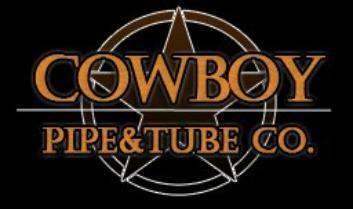 Cowboy Pipe and Tube Co.
Girardeau. The Venue is a multi-use facility with versatility galore, including seating from 30 to 1100 guests. where the bridal party can spend a stress-free day enjoying time with the bride. WE ARE JUST AS PROUD TO HAVE SBM AS A PROUD SUPPORTER OF THE LOCAL MMA SCENE!! !